Preheat oven to 350 degrees F. Generously spray a 6-cup muffin tin with cooking spray. Mix together 1 cup pancake mix and 3/4 cup water. Melt 1/2 tbsp. butter in a large frying pan. Scoop the batter onto the pan, three pancakes at a time, and cook until light brown on both sides. Set aside. Add other 1/2 tbsp. butter and cook the remaining three pancakes. Meanwhile, cook bacon slices in a small skillet until just brown. They will continue cooking in the oven, so no need to cook all the way through. Plus, you will need them to be flexible to mold into the muffin tins. In greased muffin tins, press each pancake carefully into the bottom and up the sides of each cup. Line the inside of each pancake cup with a slice of bacon. Place a small amount of cheese in the bottom of the cup. 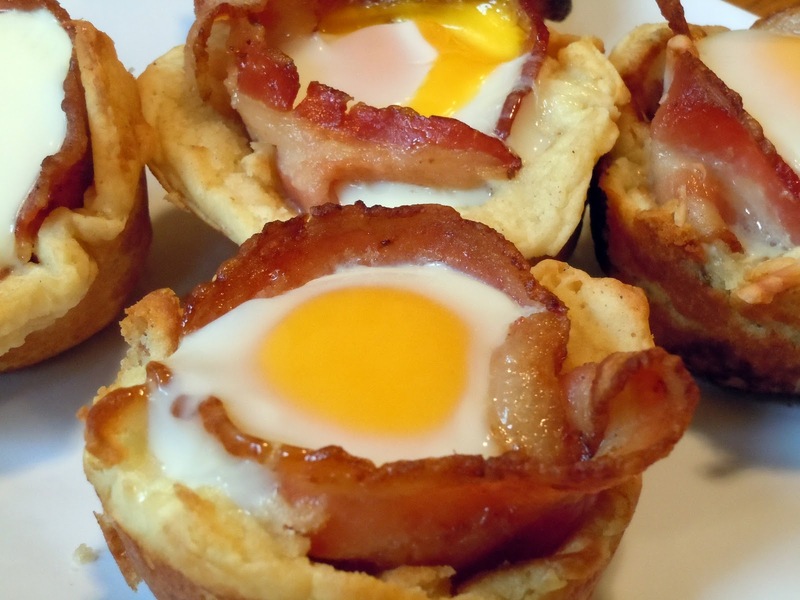 Crack a whole egg on top of the cheese and within the bacon circle. Cook for 15-20 minutes or until egg is cooked through. Let sit for a couple minutes and remove from muffin cups. Enjoy! This sounds good but I think I would prefer it with a biscuit instead of a pancake may try it. Looks delish! I will try it this weekend for my boys! Made it and it was delicious. The pancake is more biscuit-y than pancake-y. 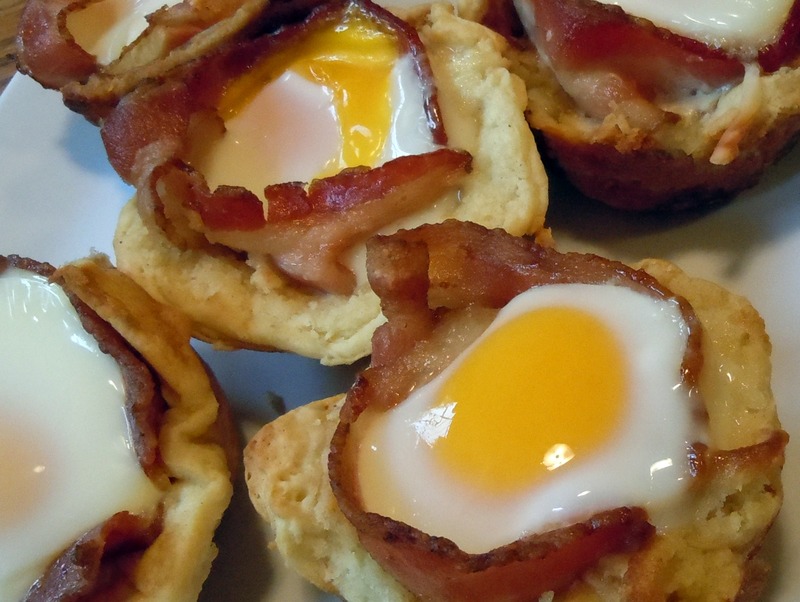 Use small eggs or use a cookie sheet underneath for overflow. Meant to add to prior comment that I used milk instead of water.